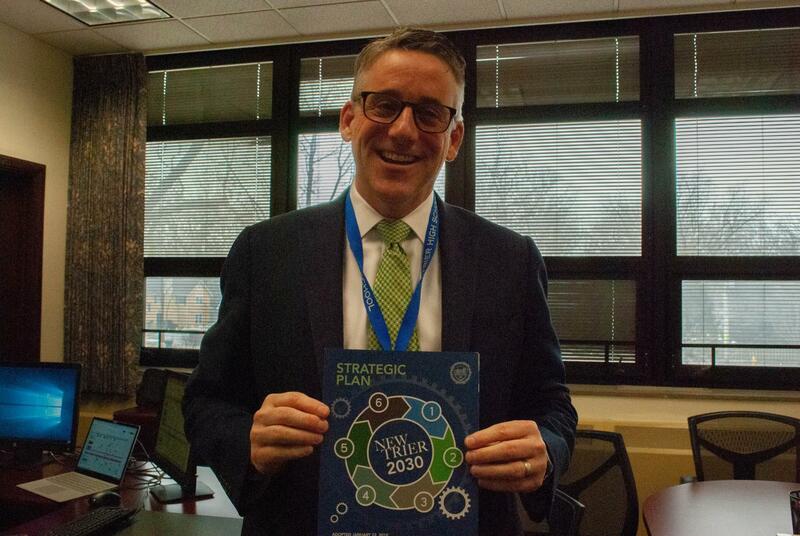 New Trier 2030 is a strategic plan for the long term improvement of the school and was officially adopted on Jan. 22, 2019. Superintendent Paul Sally said a strategic plan will help, “to focus resources and efforts in just a few directions so the school gathers momentum that creates change in those areas. “As a school, we continually review the structures we have in place to ensure we have the allocation of resources that is most effective for student learning, growth, and development. “Among other initiatives, students will see a focus each year on the student learning experience in the classroom, the social-emotional environment of the school, and comprehensive work on equity, diversity, and belonging for all students,” he added. Beyond incorporating the discussion students seek, the school board is now aware of and working to improve the situation of unequal extracurricular participation among minorities at NT. Board President Greg Robitaille told the Wilmette Beacon that the school wants to encourage students to engage with each other. “It’s a combination of the things that we do in the classroom and the things we talk about,” said Robitaille. The process involved a planning committee as well as input from staff and the community, placing the future of the school in a greater context than just academics. 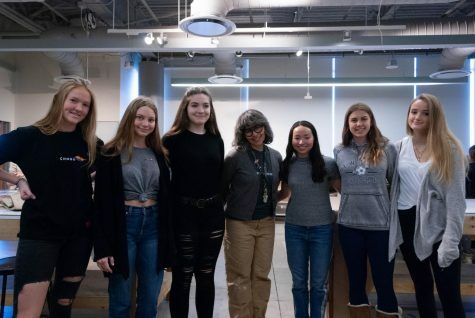 Extracurriculars are a pivotal piece of the student experience, according to a Jan. 23 article from the Wilmette Beacon. 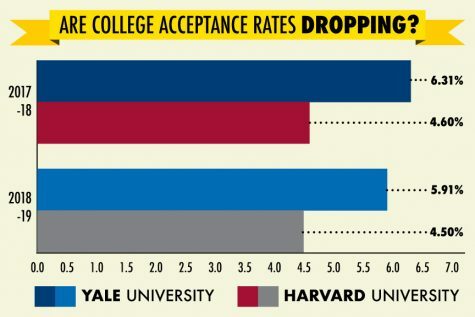 This article referenced an extracurricular activities report claiming that while about 85 percent of NT students are involved (about half of the students participate in athletics), the rate is highest for white and Asian students and lower in other demographics. 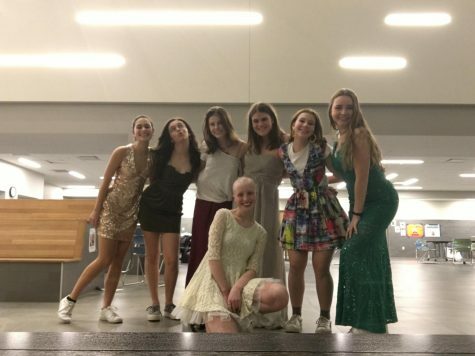 The Beacon also stated that, according to Assistant Superintendent Timothy Hayes, participation is highest among freshman with a decrease in sophomore participation. This trend has remained steady for the past few years. Sophomore adviser chair Julie Smith said the transition to the East campus may connect to changes in extracurricular participation among sophomores. Smith explained that while sophomore advisers and Bridge Builders are instrumental in exposing all sophomore students to the various opportunities they have, not all students want the same level of involvement. The options for students who want to be involved in extracurricular activities span a variety of interests, said Smith. Despite a variety of populations represented across different clubs, some students feel that not all populations are represented. Sally outlined a corresponding goal of the 2030 plan: “We will ask each area and department to set an equity goal which is appropriate for their area. At the conclusion of the 2019-2020 school year, the team will report the results of this project to the Board, along with the results of other strategic planning initiatives. The process of creating a strategic plan, including this vision, has been active since last May. The planning committee, made up of 28 members, including students, staff, and faculty as well as alumni, parents, and community members. As a whole, they decided on the mission, vision, and framework of NT 2030. The framework, posted on the school website’s Strategic Planning page, includes both personal and intellectual engagement, growth, and readiness for students through a range of measurements, from critical thinking to social emotional skills. “The structure that we are putting in place will allow us to realign our direction each year, if needed, to respond to new and emerging needs or rework plans that we put in place that were not as effective as we had hoped,” said Sally. The opportunity for annual realignment of the framework is one strategy to keep the plans on track with the vision for 2030. All-School Forum and Student Alliance as well as committees involving students as needed will be important ways to incorporate student perspectives into the plan. Schotz said that, “Discussion around people who are different from us is severely lacking. “Having a poster telling students they’re accepted is not going to do much for them if they still feel ostracized by classmates. There needs to be an ongoing dialogue that will open students’ minds up to others,” she explained. It’s the goal of NT 2030 to address this concern about the culture of the school.